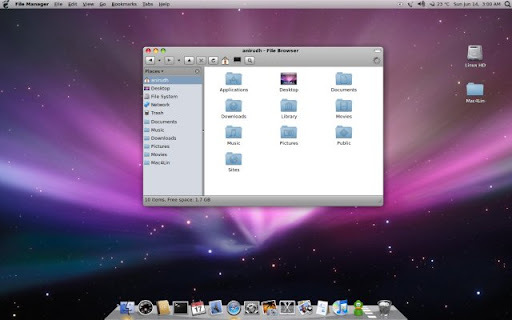 MAC OS X theme, the main objective of this project is to get MAC OS X interface for GNU/LINUX, Free BSD, Open Solaris etc; The project Mac4lin project is developed based on GTK. 1. First Download the files from the download button which is at the bottom of this page.
" Mac4Lin_Install_v1.0.sh " file Run it. Select RUN IN TERMINAL. 5.It will ask you [y/n] question during installation,press Y . 6.Now it Completes the Basic installation of Theme. 7.Now we have to Customization the Desktop. 1. There are two wallpapers in the folder, Mac4Lin_Install_v1.0/Wallpapers, you can apply these as your Background. 2.Install AWN [Avant window Navigator], so that you will get DOCK at the bottom. Dont forget 2nd step, otherwise you dont get bottom Deck. 3.Delete the bottom panel, just right click on it and select Delete this panel. 5.Then Navigate to desktop-> gnome-> session doubleclick required_component_list in the right side then select panel then click remove. 8. 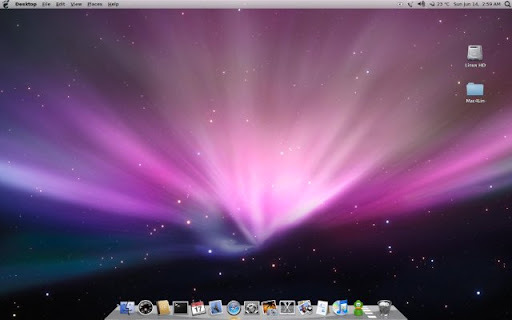 Now your MAC OS X theme is ready for your desktop. 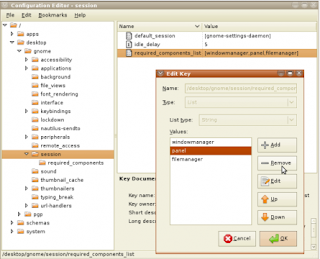 Tags: MAC OS X , Mac4lin project, theme, Download, installation, instruction, tutorial, screenshots, for linux, GNOME, open soloaris.